Are you time poor but still sore? Do you ever feel like your neck and shoulders are tight and aching? That you always seem to get headaches creeping up from the neck or side of your head to the temple? That sitting down for too long can cause a weird pain in your hip or down your leg? You keep meaning to stretch but before you know it the day is gone! Where does the time go? We can be so busy that it can sometimes feel like there is no time left to take care of ourselves! And just when you try to sneak some stretching in…Denise from down the hall pops her head around your desk and wonders why you’re sprawled across the floor looking like a painful pretzel! Well don’t worry, today we are going to talk about some really quick and easy muscle release techniques that will get you through even the most time (and space) constricted situations! What do all of these presentations have in common? 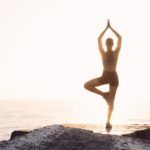 When our bodies stay in the same position for a while the muscles that are keeping us in that particular position become chronically shortened which is that “tight” feeling we all recognise. 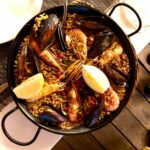 Ideally, we should be unloading and lengthening these muscles to give them a break. Self-muscle releasing is a great way to relax and lengthen chronically short or tight muscles. Your sore, fatigued yet beautiful body! Watch Katie demonstrate how to self-muscle release the Levator Scapulae muscle in the video below. 2. 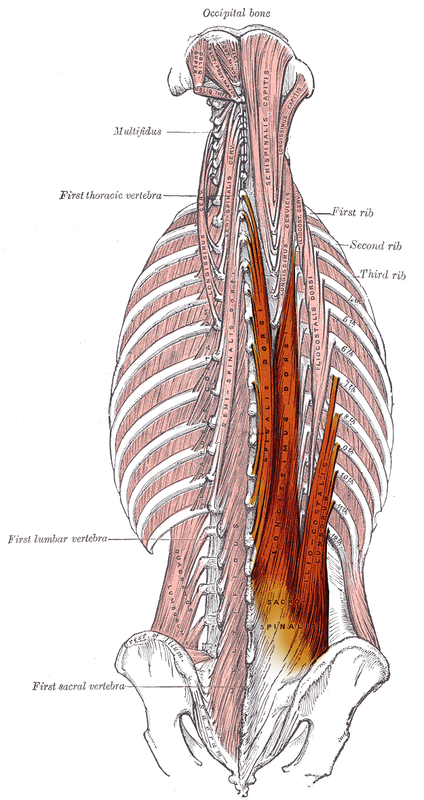 Rhomboids and Upper Thoracic Erector Spinae – the rhomboid muscle, shown below on the left, retracts your shoulder blades which brings them closer together. While the Upper thoracic erector spine muscle group shown below on the right, help to maintain an upright posture and assist in rotation of the spine. Watch Katie demonstrate how to perform a self-trigger point release on these muscle groups. 3. 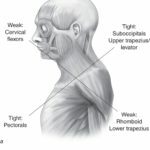 Suboccipital muscle group – these muscles help lifts our head up so we can look forward. The suboccipital muscles are a common area of chronic tightness that can lead to headaches. Watch Katie Demonstrate how to perform a self-trigger point release of the Suboccipital muscles in the video below! 4. Gluteal muscle group and Piriformis – These muscles work together to move our hip joints. The gluteal group are made up of the Gluteus (G.) Minimus, G. Medius and G. Maximus muscles, shown below on the left, move our hip into extension, abduction and internal and external rotation. 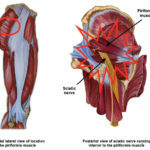 While the piriformis muscle, shown below on the right, primarily externally rotates our hip outward. They are also a common area of nerve impingement which can cause pain local to the area or even pain referring down the leg. Watch Katie perform a self-muscle release on the gluteal muscle group and the piriformis muscle in the video below! Give these self-muscle release techniques a go and see if they help decrease any tension and tenderness that you may be experiencing in these areas. Remember chronic muscle tightness is often our bodies way of compensating for biomechanical overload. Chronic overload can lead to tissue injury! Speak to your chiropractor today to find out how we can help unload your body, restore function and decrease any pain or tension that you might be experiencing. Call Hands on Health Care at (02)9949-3017 or go online at www.handsonhealthcare.com.au to book your next appointment! Squat what you’re doing before you hurt yourself!